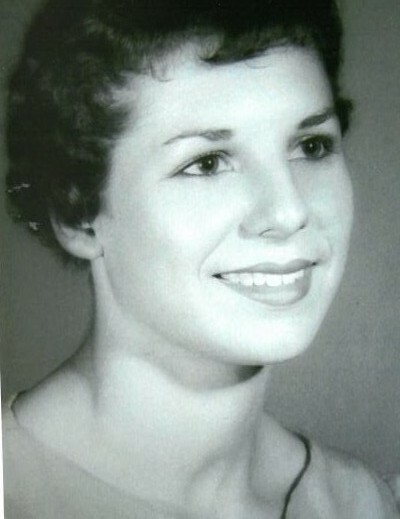 Carolyn Faye Scarborough Robertson was born to Tom and Norma Scarborough in Tulia, Texas on April 3, 1942. She passed after a courageous and lengthy battle of Lewy Body Dementia in Dallas, Texas surrounded by her loved ones on September 4, 2018. Carolyn married Dudley Ray Robertson on May 27, 1960 in Amarillo, Texas. Together they had three children and stayed in Amarillo until moving to Dallas, Texas in 1966. Carolyn worked briefly at J.C. Penney before staying home to raise her children while helping to answer phones for the family’s plumbing and H-VAC business. Carolyn was always involved with the kids’ school functions by being class mom, member of the PTA, leading the Booster Club and hosting many youth activities for Young Life or the Round House Youth Group for church. She regularly attended and participated in the Ladies Ministry at the Seagoville Church of Christ, as well as aiding for many children the opportunity to attend the church’s youth camp at Lake Texhoma. She was eager for children to learn about Christ and his love for them. Her many hobbies included scrapbooking, antiquing, and shopping at Canton, playing train and bunco with her friends, and gardening. Carolyn was preceded in death by her parents, Tom and Norma Scarborough. She is survived by her husband of 58 years, Dudley Robertson of Dallas, Texas; children, Tommy Robertson of Forney, Texas, Mark Robertson and wife, Kim of Rockwall, Texas, and Leslie Robertson of Mesquite, Texas; grandchildren, Jermiah Robertson, Celeste and Justin Heflin, Jake and Bethany Robertson, and Jared Robertson; great-grandchildren Savannah, Gabriel and Cheyenne Heflin; sisters, Glenda Scarborough of Amarillo, Texas, Janice Leos of Weatherford, Texas, Wanda Scarborough of Weatherford, Texas, and Donna Voss of Lancaster, Texas; and many nieces, nephews, family, and friends.